The report of the committee to review the functioning of the Indian Institutes of Management (IIMs) which was submitted to the Union ministry of human resource development (HRD), has been facing criticism within the IIMs since October. One of the biggest criticism was that the panel’s recommendations interfere with the autonomy of the IIMs. The panel in turn finds the B-schools’ management development programmes eroding the quality of their teaching and research. The ministry has now invited public comments on the recommendations. The IIMs have turned out to be leaders in business education in India till now and they attract the brightest of students, both boys and girls. At the end of two-year post graduate programme, they are very much in demand, both inside and outside India. That’s the measure of the quality of education at the IIMs. What we felt as a committee is that now they face a challenge from private investment in business education. It has been growing rapidly and will continue to grow because everyone has seen there is a big gap between demand and supply of good business education in this country—for 1,800 odd seats at the IIMs, about 2.5 lakh candidates take the exam every year. People invest where they see demand. Foreign educational institutions are bound to be allowed to come in to establish institutions either on their own or as joint ventures so the competition will intensify. There is already some competition from private business schools but IIMs are still way ahead. But businesses have to look into the future and deal with the present. One of the challenges that the IIMs have to face is how to face future competitive threats. All the schools have been running short of faculty and in expanding admission capacities of the two-year course, barring the recent expansion in the wake of OBC quotas, there has been virtually no growth in the older IIMs. The quanity and quality of research output and generation of indigenous teaching material and books from the IIMs in comparision with the better B-schools globallly, is very inadequate. Most IIMs are still using foreign material for teaching. So there hasn’t been enough emphasis on research. For excellence in B-schools, research is considered to be essential so that they generate new ideas and thoughts. They should be able to continue to attract the best of students. We believe IIMs must equip themselves. The statement that IIMs mostly train middle level PSU managers has also come under flak for being “condescending" and for “attempting to degrade’" the IIM’s work. IIMs have not been set up to primarily make money. MDPs bring money which helps keep the course fees low but that should not be at the cost of teaching the regular courses and doing research. MDPs should also be commensurate with the stature of the IIMs. Please check the list of MDPS done by IIMs and you’ll know what I am talking about. There are IIMs conducting MDPs for petrol pump managers! The faculty at IIMs are required to teach for just 90 hours in a year, which is not adequate. Within the IIMs, there are allegations that MDPs are being recorded as consultancy projects to enhance earnings of faculty members. I haven’t heard of anything like this. My understanding is that most IIMs have a formula for sharing earnings from MDPs and consultancy projects between the institute and the faculty members. In our report, we have recommended that faculty earnings from MDPs or consultancy projects shouldn’t exceed 15% of their salaries. The primary requirement is teaching and research. We need to limit income from consultancy and MDPs since it has been taking a disproportional amount of time and impacting teaching and research. Your report recommends creation of a Pan-IIM Board. Why, especially when IIM Boards are very much in place? The communication between the IIMs and the government has been less than adequate, and each views the other with some degree of suspicion. When the boards of the IIMs meet, their agendas are filled with routine administrative matters. Many members don’t even attend its meetings thinking they can’t contribute much. Most importantly, governance at IIMs is presently divided between the Boards, directors and the MHRD so it becomes impossible to fix accountability. The Pan-IIM Board will act as an advisory body to the government. It would review the vision of each of the IIMs, provide broad guidelines on business plans and evolve mechanism for coordination among the IIMs. It will also ask IIMs to prepare rolling plans and review their performance periodically especially with respect to research and quality of teaching and psubmit a report for government on the performance of each of the IIMs. So while allowing the Boards maximum operational freedom, it will make also make the IIMs more accountable towards public money. The committee believes this arrangement would be far superior to the ministry directly interacting and trying to monitor IIM working. Many view the Pan-IIM board as a way to wield more government control, since appointments to it would be made by the HRD secretary. IIMs have been set up with public money so they must be instruments to implement policies of the government. While they should (and are) enjoying academic freedom, and we have proposed full powers to run the institutions, they must also be accountable. They can not expect to be totally free to do whatever they think. The public needs to know how funds are being utilized. The Pan-IIM Board will review how this is being done. And, in all this, what authority are we taking away? The present Boards can not create posts. Salary structure are fixed by the MHRD for faculty and other staff. Capital budgets and corpus fund are determined and approved by the ministry. It’s the MHRD that appoints the director as well. Even the chairman of the Board is appointed by the government. What we have recommended is that all these powers should go to respective IIM Boards. So it’s not that we are taking powers away from the IIM Boards as some people would like to believe. What we have said is that existing boards should become smaller. The existing Board would be dissolved. Somebody has to appoint governors to the new Board for each of the IIMs. Who will do that? Presently, a large majority of the governors are appointed by the Government. We have recommended that the new governors be selected by a Committee consisting of the secretary MHRD and three eminent independent professionals. Surely, this is better than government appointing the governors. Future vacancies in the Board will be filled by the Boards themselves. Is this increasing government control or decreasing it? With this, we are in fact insulating the Boards of each IIM from MHRD. They will have no direct dealing with the government. Instead, Pan-IIM board will be a professional body with which they can interact. Did you also look into the issues of a certain fixed term for directors? 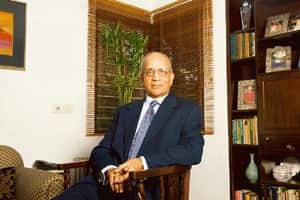 According to IIM tradition,, no IIM director can have a second term term but there is already a controversy raging over IIM-L director’s bid for a second-term. We have already recommended that the selection and appointment of directors should be done by the Board of Governors of each IIM. The terms and conditions of appointment should be approved by the Pan-IIM Board since some degree of uniformity between different IIMs would be better. The Boards can decide on the tenure of the directors. So far, the government has appointed the directors, and a political content is always possible. Your report also recommends that the new IIMs be mentored by the older IIMs. Given the experience with the older IITs this year which are mentoring the new IITs from temporary or existing campuses with an acute shortage of faculty and inadequate infrastructure, don’t you think the IIMs would also be headed in that direction? There are many faculty members at the IIMs who don’t have heavy work load. Areas where there is a shortage of faculty are mostly functional subjects. The issue is if the new IIMs are floated and the parent is the same (government), should the government not see how to bring the new IIMs to the level of the older IIMs? And, if the older IIMS are not going to do it, who will do it? It can be done without diluting the quality. More faculty can be hired; better infrastructure can be created. Do you expect your report to find resistance with the government? I have no idea what will happen. But I do believe the government is serious about improving the quality of education in this country and the report will be examined very objectively.